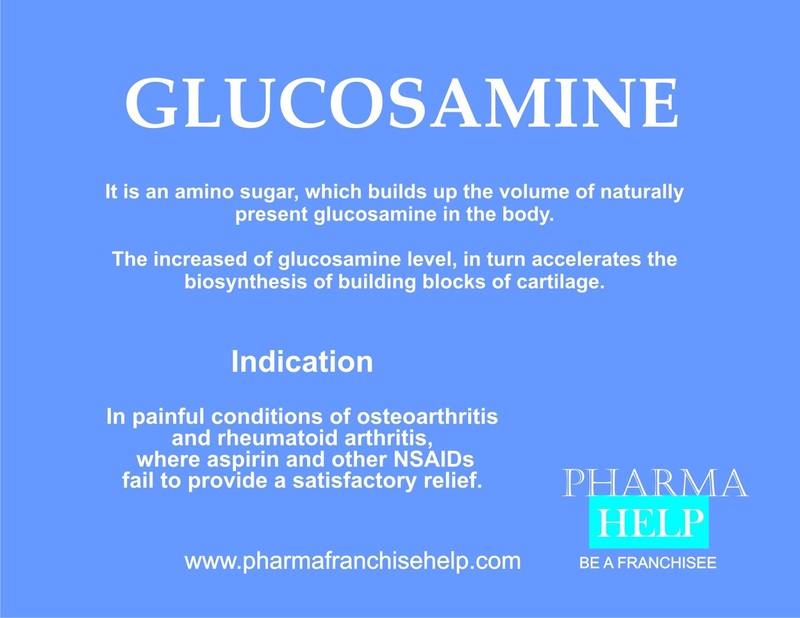 Glucosamine sulphate is an amino sugar, which builds up the volume of naturally present glucosamine in the body. The increased of glucosamine level, in turn accelerates the biosynthesis of building blocks of cartilage. In painful conditions of osteoarthritis and rheumatoid arthritis, where aspirin and other NSAIDs fail to provide a satisfactory relief.